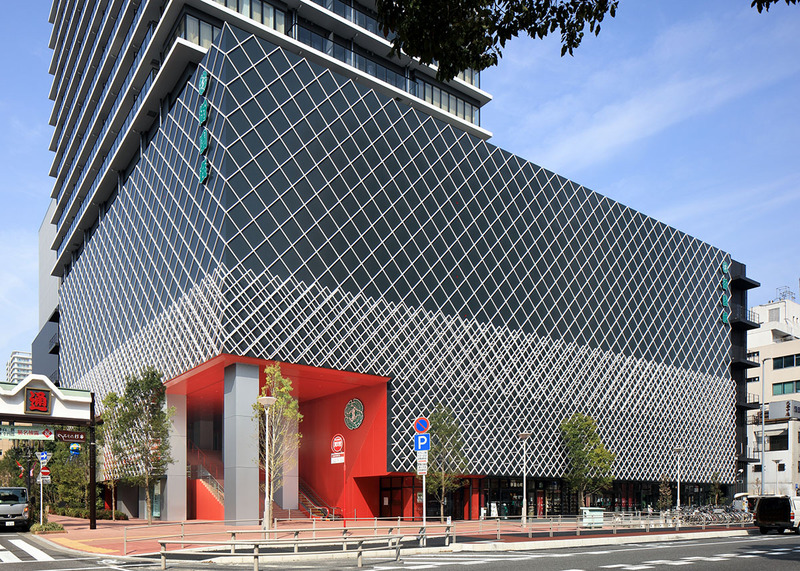 Nagoya has long cultivated performance art and artists and is known as the place of entertainment within Japan. 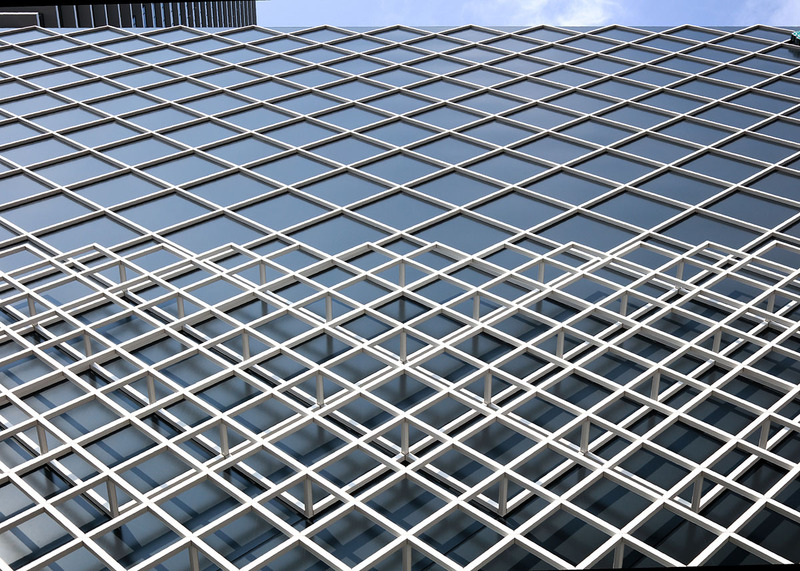 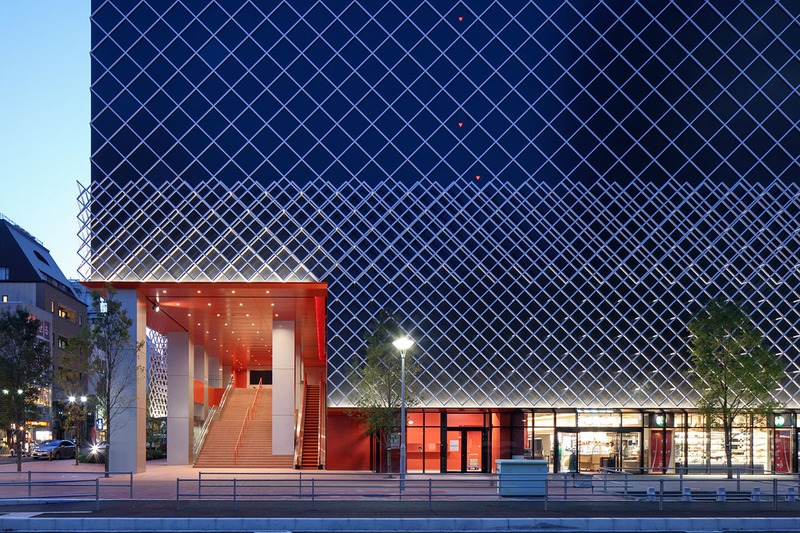 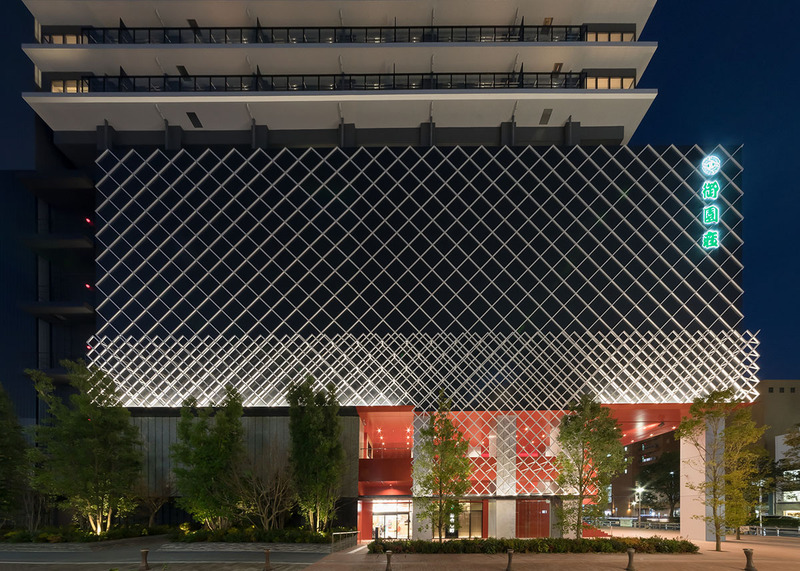 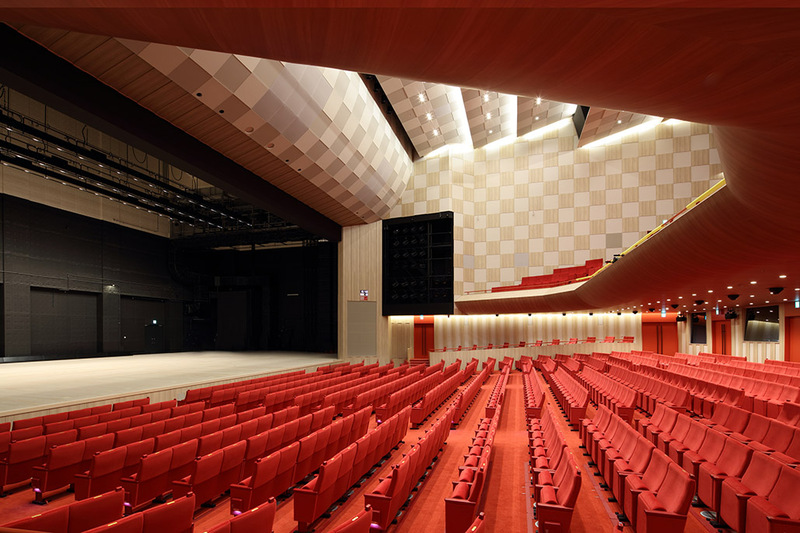 Mizono-za, is located in the center of Nagoya’s theater district and we were tasked with reviving the historic space. 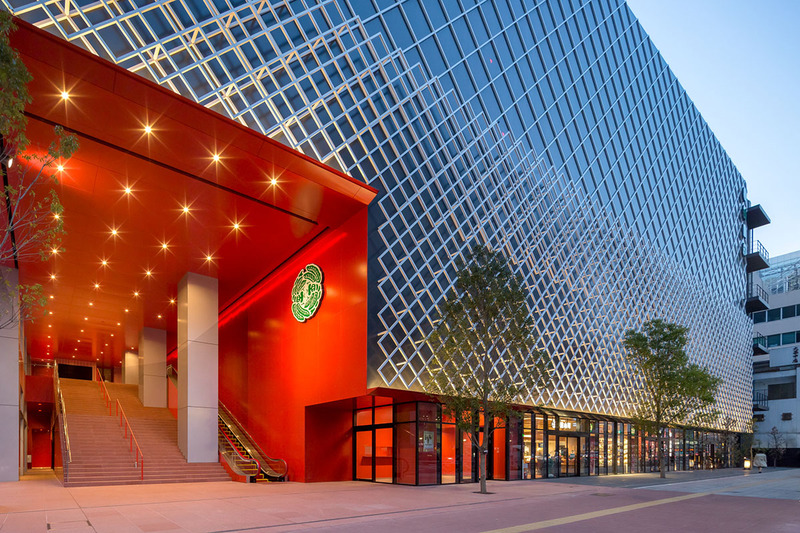 The building is a new and unusual complex in that it integrates a shopping center facing a main road, as well apartments above the theater. 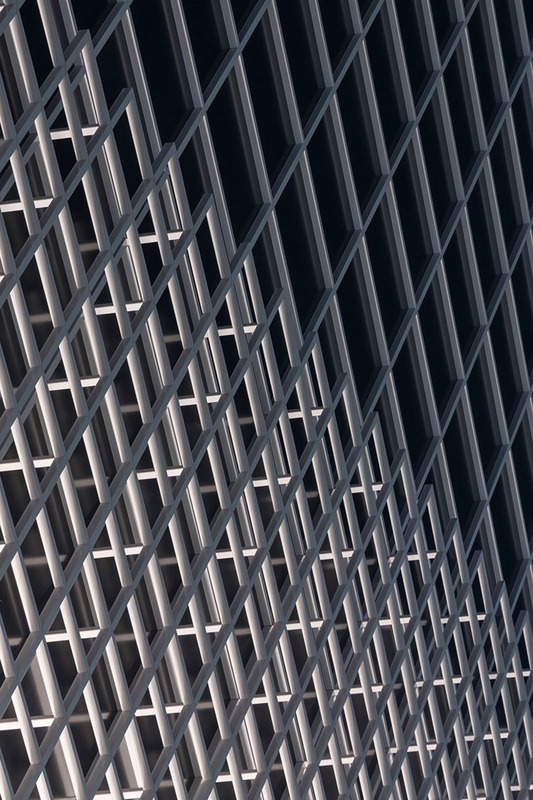 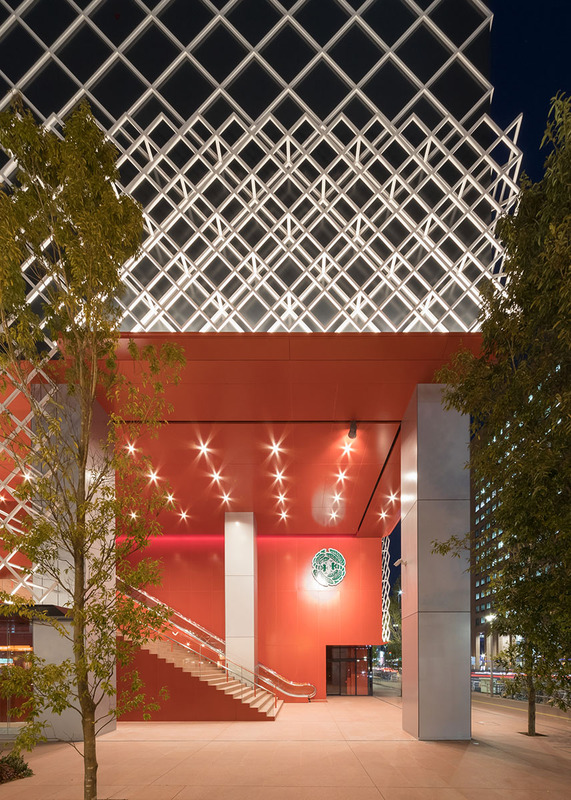 The former theatre had walls of Namako-kabe (black square tiles with raised white grout), and we used this as the motif of our design developing into a glamorously illuminated façade that could match the “flower” of the city. 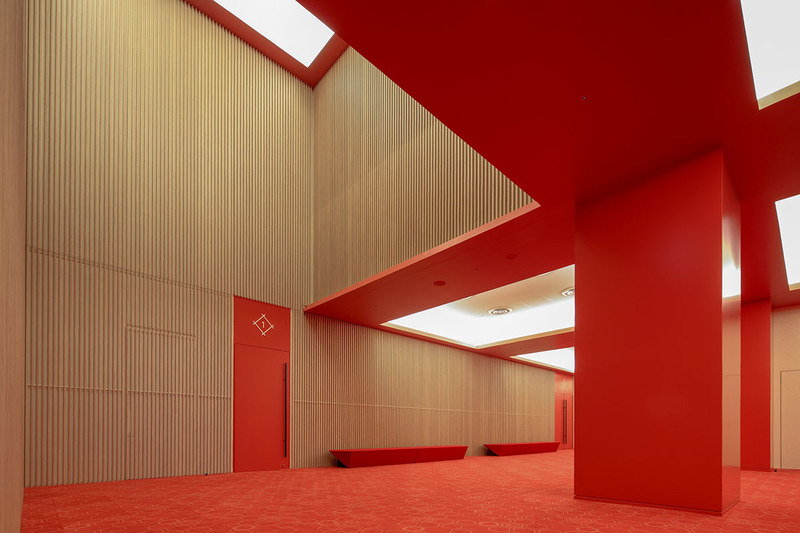 As for the interior, we looked back to the old Misono-za by using vermillion as the basic color. 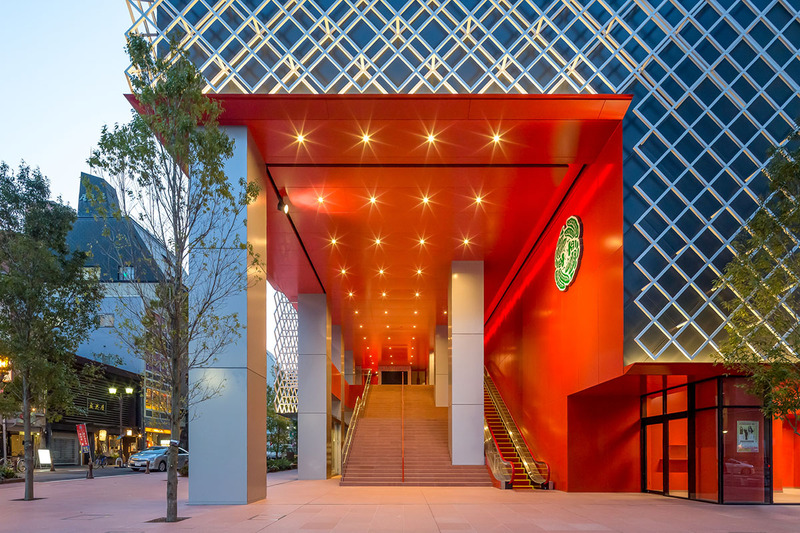 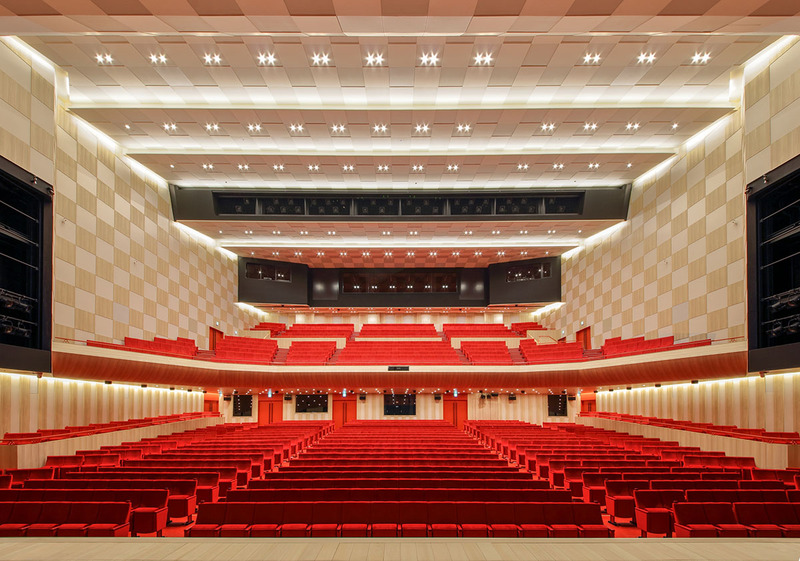 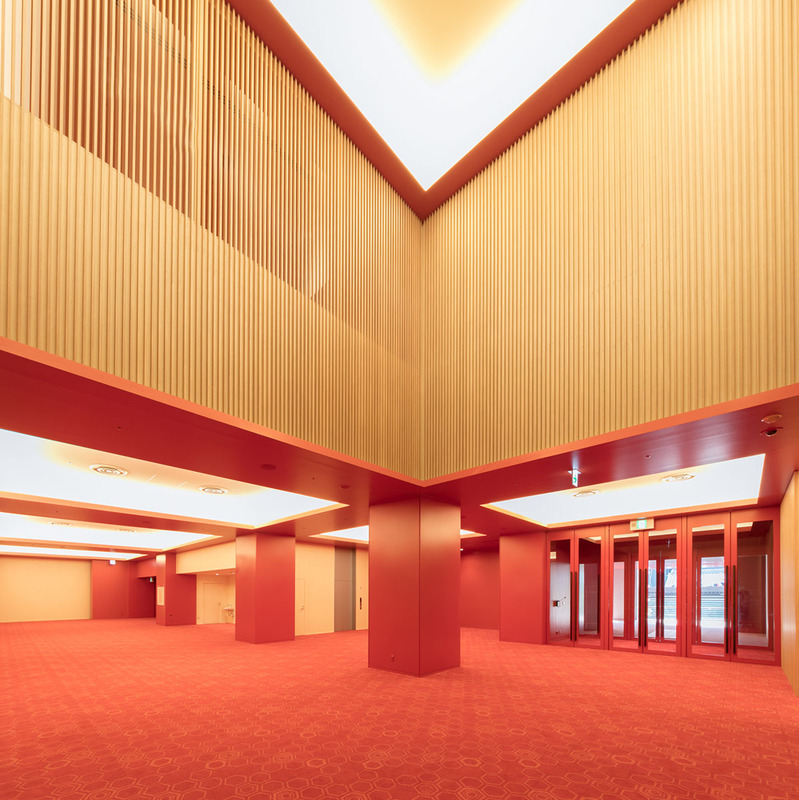 A wide corridor stretching from the foyer to the main entrance was covered with vermillion helping to enhance this bright and beautiful theater that represents Nagoya.